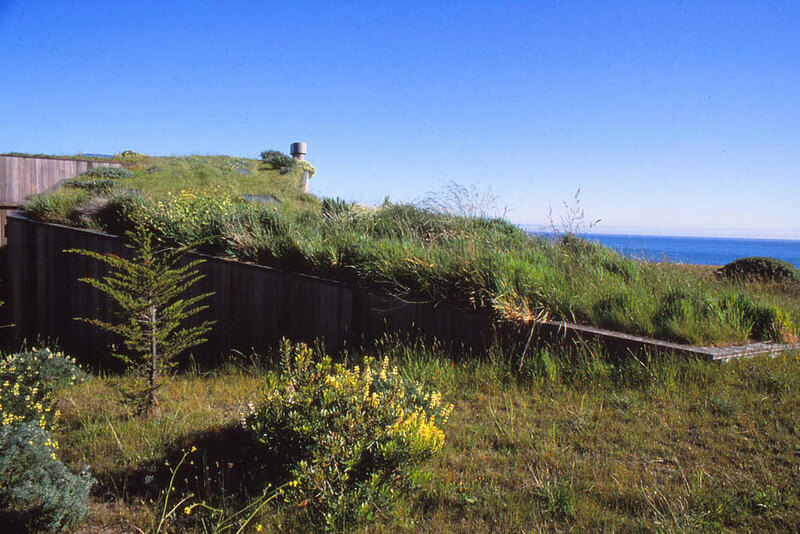 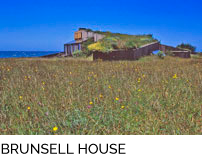 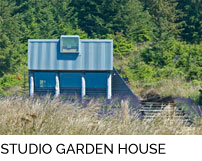 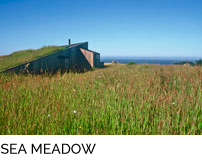 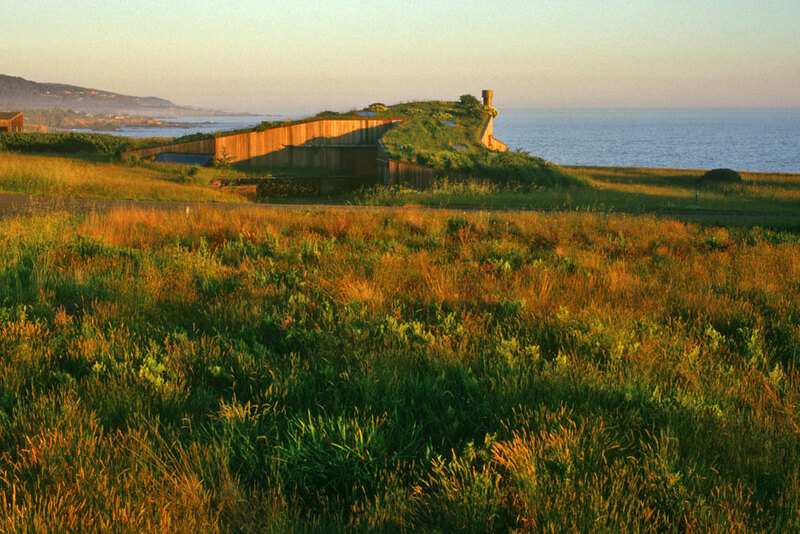 The surrounding landscape consists of connected meadows sandwiched between coastal hills and ocean bluffs with cold northerly winds blowing throughout the spring and summer. 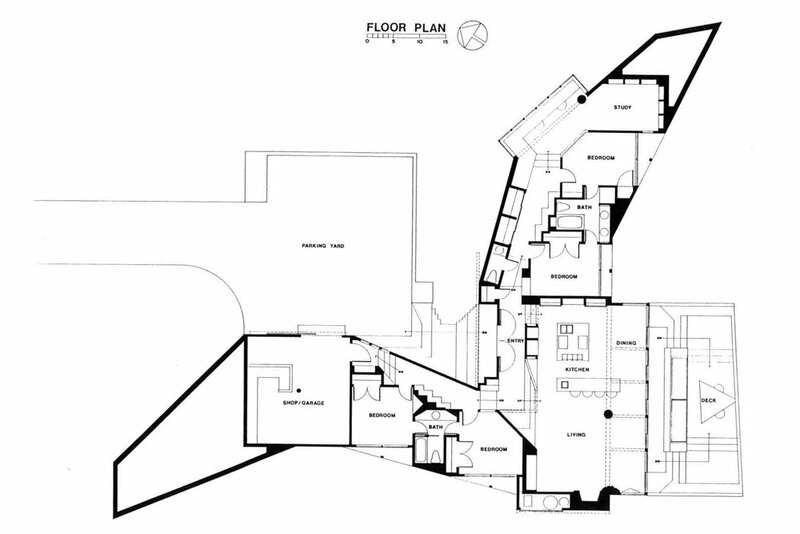 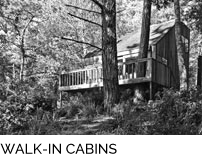 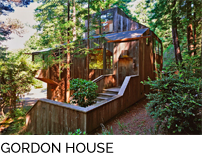 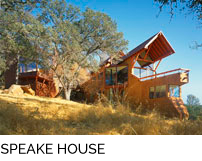 The corner lot sits near the bluff and is in the view shed of numerous other houses sitting behind and at slightly higher elevations.The program called for a weekend/retirement house with separate guest and master bedroom wings meeting at a common area for socialization. 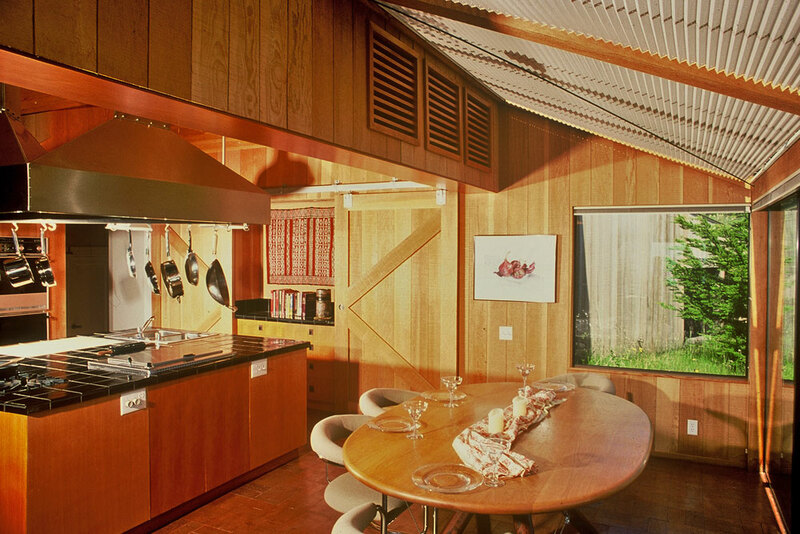 The heart of this area is the large kitchen island which always acts as a vital part, if not the focus, of social activities. 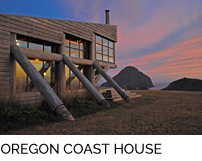 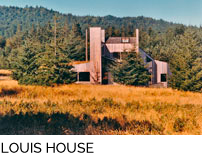 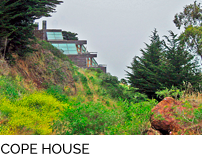 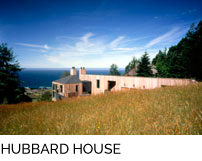 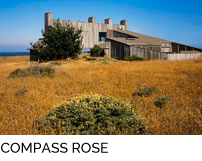 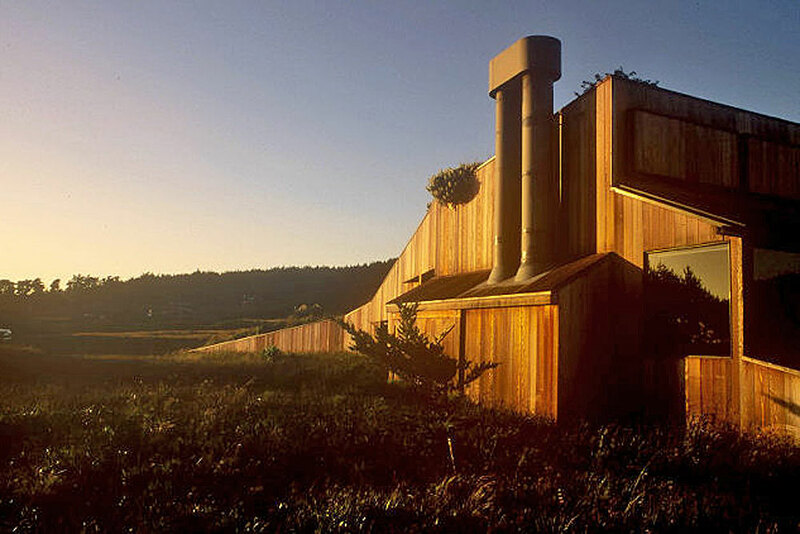 The house responds to the character of the landscape while considering its effect on the community: It strives for visual harmony with the sweep of the coastal hills, is an exemplary low key neighbor, and is attuned to the natural forces acting upon it. 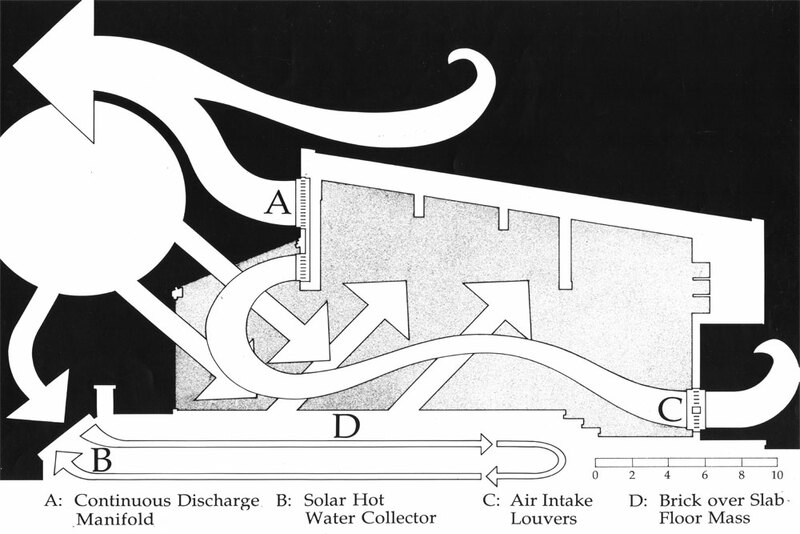 The building form is a wind foil deflecting cold air up and away from the partially sunken southerly deck. 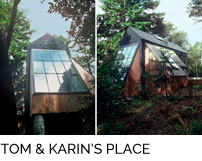 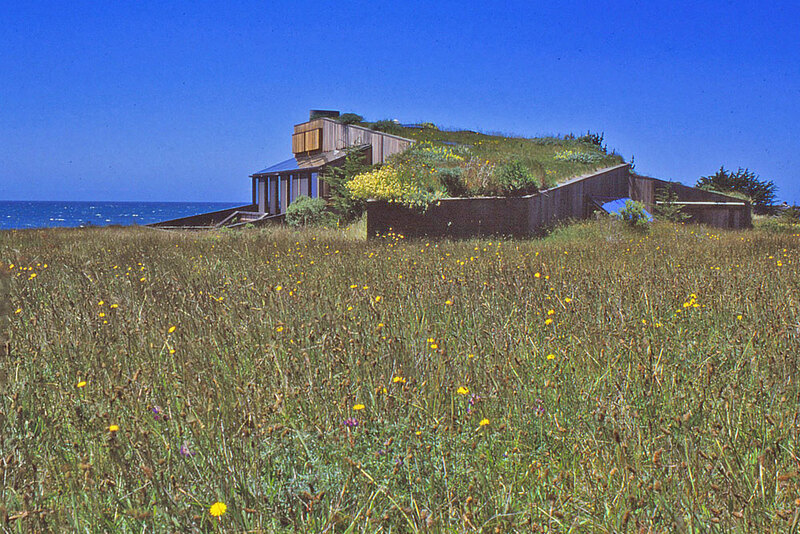 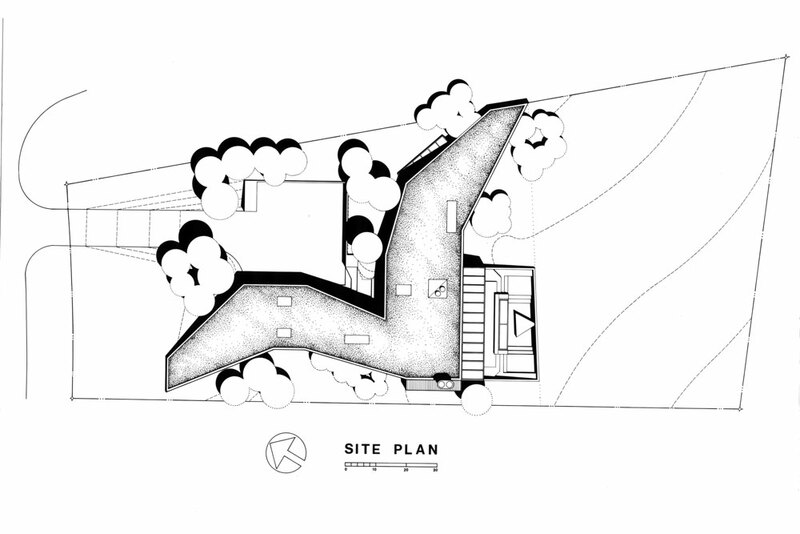 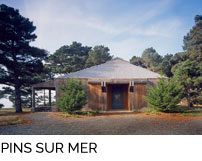 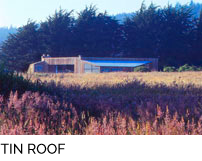 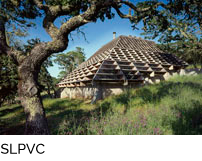 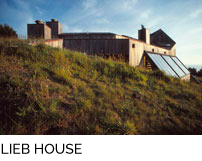 The meadow displaced by the building footprint has been replaced with an earth covered roof: the house is part of the meadow and the meadow is part of the house. 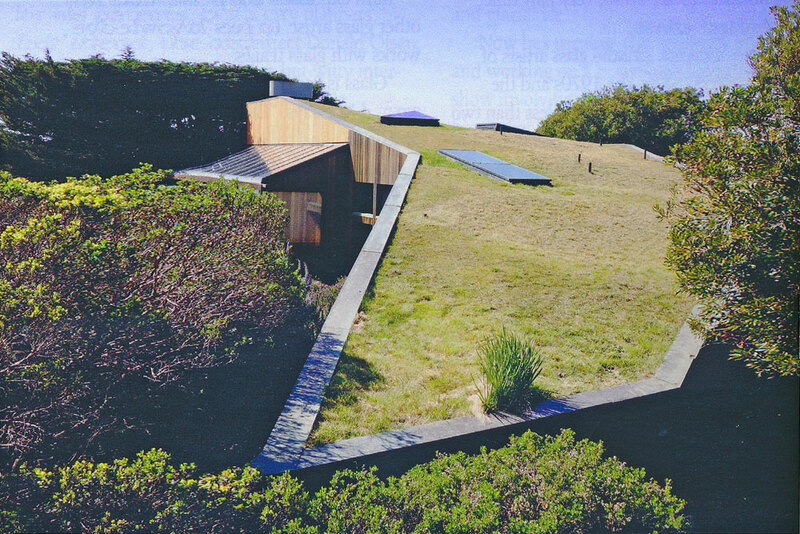 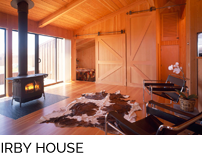 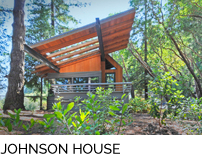 The house uses solar space and water heating, natural ventilation, and natural lighting, with a radiant floor heat backup system. 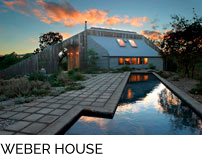 Excess roof water percolates back into the ground as does much of the water falling on the gravel driveway and parking court. 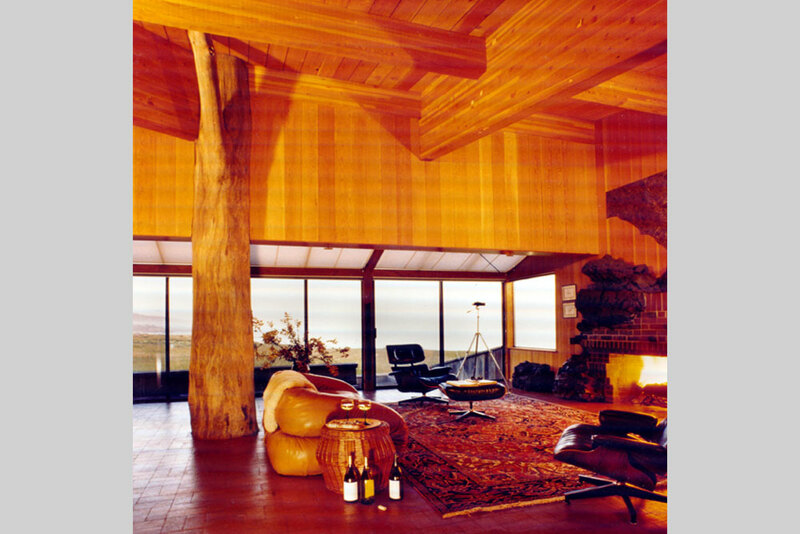 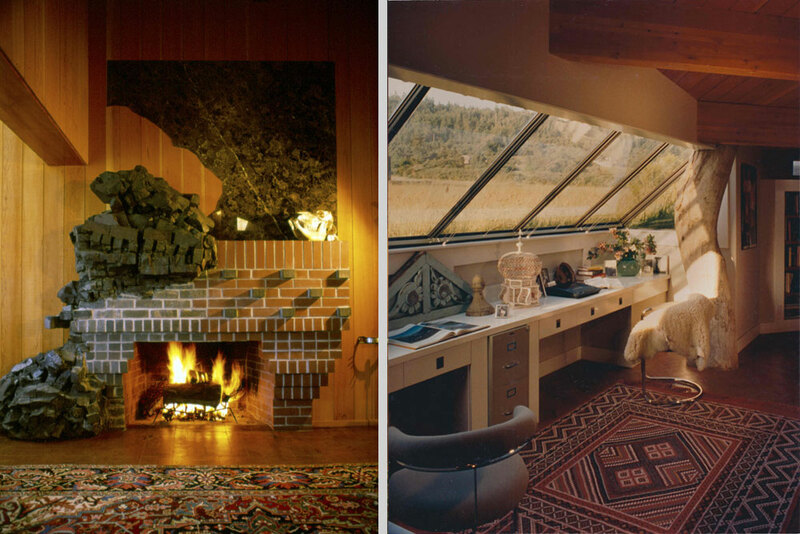 Structural columns were cut from dead Eucalyptus trees, fireplace brick chunks were found in a refuse grog pile, and predominantly natural materials were used throughout.